Named for our daughter, Avery Rose, the Avery's Mix is a combination of her favorite flowers. 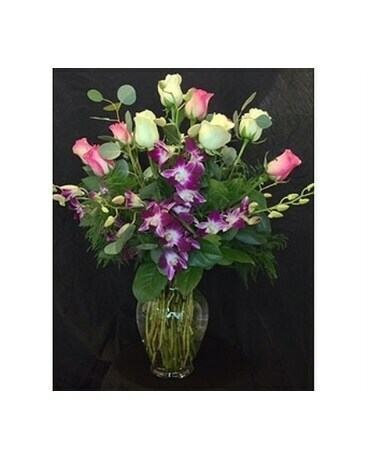 White Roses, Fantasy Roses and Purple Dendrobium Orchids make this the perfect gift for someone special. It's perfect for any and all occasions!